Strolls enjoying the city’s river and ocean views are a must. Along the way you’ll spot the most magnificent architecture too. 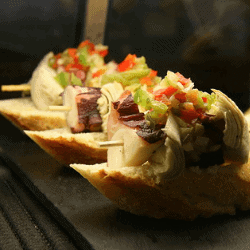 San Sebastian’s best tapas bars? We’ve got you! We’ll share our favourite pintxo places. We will even let you in on a secret, the best cheesecake of the country! 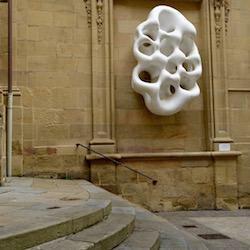 San Sebastian’s urban art never ceases to amaze us. We’ll show you the coolest pieces and tell their stories. Looking for a fun activity that shows you San Sebastian’s best spots and recommends local restaurants and bars? Look no further. Play a city discovery game. Explore hidden gems. Unlock local stories and recommendations. San Sebastian’s Old Town: the foodie trail!